Women and prayer: an attempt to dispel some fallacies. 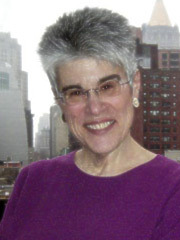 Judith Hauptman. Abstract: There is a widespread belief that women are not obligated to pray daily and cannot be counted in the quorum and lead the group in prayer. However, a closer analysis of the rabbanic and post-rabbanic texts show that women have been obligated to pray daily since the time of Mishnah. In addition, the other requirements for being a prayer leader reflect issues consisting primarily of maturity, dignity and social acceptability, rather than gender. Therefore, the role of women in prayer groups may change in response to changes in halakhic attitudes. IT IS TIME TO SET THE RECORD STRAIGHT. Most Jews think that women, unlike men, are not obligated to pray daily, and have responded accordingly. Orthodox women find this perceived exemption a useful rationale for not praying daily. Orthodox men have utilized it to answer feminists who wish to be counted in the quorum of ten and serve as prayer leader: since women are not obligated to pray, they say, women cannot be counted in the quorum and lead the group in prayer. Conservative rabbis employ the perceived exemption as the starting point of a responsum: only women who voluntarily accept upon themselves the obligation to pray can serve as prayer leaders for the group. 2) an obligation to pray does not, in and of itself, entitle a woman – or anyone else – to serve as sheliah zibbur (prayer leader); additional requirements must be met. Since both Shema and tefillah require concentration,(2) it would seem that certain mourners are exempt from tefillah but are still obligated to say Shema, because prayer is rabbinically enacted whereas Shema, according to the rabbis, is Torah-mandated. 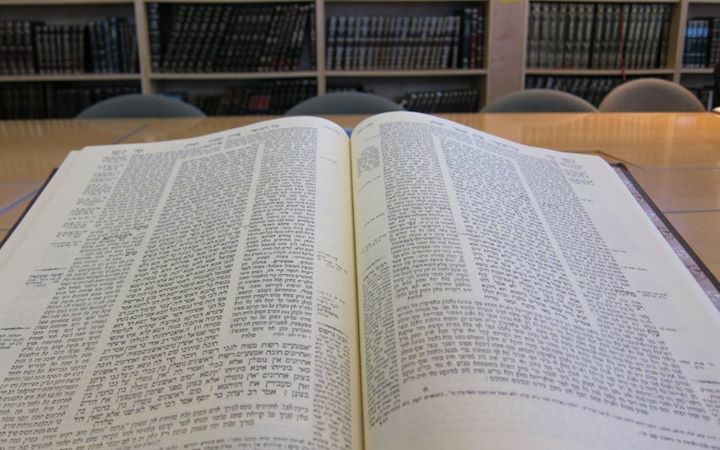 Torah-imposed obligations are lifted only when absolutely necessary, as for pall-bearers. The Mishnah then says that women are exempt from reciting Shema and from donning tefillin, but are obligated to say teffilah, hang a mezuzah, and recite Grace. (3) Requiring women to say some prayers but not others, in particular obligating them to the rabbinically-ordained tefillah while exempting them from the Biblical confession of faith, is strange. (4) It appears to be a calculated attempt on the part of the rabbis to separate women from the most theologically significant utterances of Judaism. The Gemara (Berakhot 20b) addresses this anomaly. 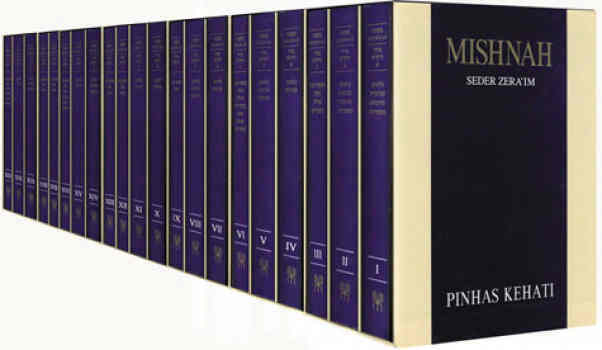 Although its commentary on this Mishnah is composed of a series of brief segments, one for each obligation or exemption mentioned in the Mishnah, there is a common theme running throughout: an attempt on the part of the anonymous talmudic voice (the stama d’Gemara) to demonstrate that this Mishnah is completely in agreement with the general guidelines for women and mizvot established elsewhere, in Mishnah Qiddushin 1:7. Commenting on women’s exemption from Shema, the Gemara exclaims: But it is obvious that women are exempt, for Shema is a time-bound positive mizvah, and women are exempt from mizvot of this kind! But, the Gemara responds, since Shema embodies a confession of faith — the acceptance of the Kingship of Heaven — one might think that women, like men, would be required to read these verses daily. Hence, to counter such erroneous yet logical thinking, the Mishnah needs to state that women are exempt. Were the discussion to end at this point,(6) we would know all we needed: women must pray daily to petition God for what they want because they, like men, are human beings with needs. But the Gemara (in many versions) (7) goes on to say that, since one might have thought that prayer is “like” a time-bound positive mizvah — because of the verse requiring prayer three times daily(8) — and that women are, therefore, exempt, the Mishnah finds it necessary to state that women are obligated — leaving it unclear whether this is because it is not a time-bound positive commandment, or because, although it is time-bound, women’s need to pray is overriding. This section is problematic. Initially, the Gemara appears to imply the proposition that prayer is a time-bound positive mizvah, but women are obligated for a special reason — that prayer is petitionary. However, in going on to raise the time-bound issue, the Gemara seems to take an altogether different stance: prayer may be a non-time-bound positive mizvah which, it follows, women are obligated to fulfill. This textual tension, generated by what appears to be a later alteration in the wording of the passage, gave rise to a number of different interpretive approaches to the issue of women and prayer. Yet, despite their differences, the commentators are virtually unanimous in their endorsement of women’s obligation to pray. 1) Rashi and Tosafot hold that, since prayer is rabbinically ordained, its originators have the right to obligate women for whatever reason they see fit. (9) It follows that the tefillah that the Mishnah obligates women to recite is exactly the same one that men are obligated to recite, and that both must recite it with the same frequency. 3) Living one century later, Maimonides says that prayer — in its pristine form, without fixed liturgy, frequency, or times of day — is ordained by Torah; it follows that women are obligated. (10) He goes on to note that, because of the vagaries of history, it became necessary for the rabbis to provide people with a fixed liturgy. The imposition of a series of additional requirements did not expressly distinguish between men and women. It is thus clear that, from the time of the Mishnah and for the next 1400 years, women, although generally exempt from time-bound positive mizvot, were obligated to recite a fixed liturgy at fixed times. Note that although daily prayer seems as quintessentially time-bound as a mizvah could possibly be, given the termini a quo and ad quem presented later in Mishnah Berakhot, the Mishnah’s ruling that women are obligated, when examined in the context of general principles of women and mizvot, forced most commentators to adopt the position that prayer is not time-bound and, therefore, obligates women just like men. The first person in halakhic history to suggest that prayer at fixed times and with a fixed liturgy was no longer obligatory upon women is the 17th century commentator on the Shulhan Arukh, Magen Avraham (Abraham Gumbiner). He contends that the basis for Karo’s ruling is Maimonides’ statement that women are obligated to pray. However, he continues, since prayer as a mizvah of Torah origin lacks a fixed text and fixed times, this explains why the women of his day do not pray regularly, why all that they do each morning is to recite some petition at the time when they wash their hands, and this, in his opinion, is sufficient. He does go on to say that Ramban (Nahmanides) and most other commentators hold that prayer is rabbinic, but does not spell out the consequences of this other approach. It is important to recognize that Magen Avraham is only imputing to Rambam the idea that women’s obligation to pray is unlike that of men, that the Mishnah’s expression “are obligated !to say tefillah” means one thing for men and another for women. Rambam himself never suggested that such a distinction exists. (12) Magen Avraham’s interpretation is designed, as he himself acknowledges, to provide a halakhic basis for women’s lapsed performance. (13) Although such a strategy is acceptable and even standard in responsa writing, for our purposes it is important to identify it as such. The prominent twentieth century halakhist, R. Meir Hakohen (more popularly known as the Hafez Hayyim), the author of the Mishnah Berurah, (a commentary on the Shulhan Arukh), takes a clear stand in favor of full obligation (OH 106: 1, note 4) like Tosafot. He claims that even though, according to Rambam (as understood by Magen Avraham), women are only obligated to utter daily some petition, as required by the Torah, and even though, according to Ramban, prayer (in all its particulars) is rabbinically ordained as a time-bound positive mizvah from which women would be exempt, the Men of the Great Assembly — who ordained prayer — still obligated women to say shaharit and minhah each day, “just like men,” since the essence of prayer is petitions for mercy. Therefore, he concludes, one should admonish women to pray regularly. Furthermore, like Karo (OH 70:1), he suggests that women, even though they are exempt from reciting the Shema, should still accept upon themselves the yoke of Heaven. What this means, according to Isserles (in his gloss on Karo), is reciting the first verse of Shema. (16) By the time Hafez Hayyim ends his discussion of women and prayer, he has obligated them not only to tefillah, but to virtually all of the components of morning and afternoon prayer. Why should a woman have to assume voluntarily an obligation to pray if, from the time of the Mishnah on, she already had one? Ignoring such a longstanding and substantial obligation distorts the tradition’s rather sympathetic view of women, their need to pray, and its general recognition of their obligation to do so. Moreover, it is ironic that, while the right wing Orthodox establishment chides women for not fulfilling time-honored halakhic requirements to pray, the Conservative movement — basing itself on the very same codes — announces to the world just the opposite, that, although women are not required to pray, they can take this obligation upon themselves! The clearest statement in the Mishnah on a person’s eligibility to perform a ritual act for another appears at the end of Rosh Hashanah 3:8: “A deaf-mute, an imbecile, and a minor may not discharge the obligations of others. This is the general principle: whoever is not obligated to perform a certain act, may not perform this act on behalf of others.” It is obvious that the second statement provides the rationale for the first: some people may not be designated as shofar-blowers for the congregation because they themselves are not obligated to fulfill this mizvah. Many people who read the Mishnah’s general principle assume that its inverse is also true, namely, that if a person is obligated to perform a certain ritual act, then he may perform it on behalf of others. But a statement and its inverse do not always have the same truth value. This Mishnah is saying that the obligation to perform a particular mizvah is a necessary condition for being able to discharge the obligations of others;(18) it does not say that obligation is both a necessary and sufficient condition for the performance of a mizvah for others. Applying this principle to the issue of women and prayer yields the following: if a woman is not obligated to pray, then she cannot discharge the obligations of others. But if she is obligated to pray — and, as demonstrated above, she is — obligation alone will not permit her to lead the group in prayer. It may be necessary for her, or anyone else who is obligated to pray, to meet other conditions as well. Since other sources make it perfectly clear that one man may recite Grace for another,(21) the explanation for the braita’s use of the curse metaphor regarding a woman’s inability to recite Grace for a man — even though she herself is obligated — seems to be that, in addition to obligation, a person needs social status in order to qualify as a prayer leader. In this case, in the tannaitic period, social status is defined by gender. Other sources support the conclusion that social considerations play a role in determining eligibility to discharge the obligations of others. To serve as prayer leader for the group, a person needs, in addition to an obligation to pray, a mature and dignified appearance. This, according to the Talmud, as strange as it may sound, is epitomized by a beard. We read in Hullin 24b: “When his beard grows in, he may serve as sheliah zibbur and pass before the ark and lift his hands in the priestly blessing.”(22) That is, even though a boy has reached the age of obligation, he may not serve in certain leadership roles until his beard grows in. Why? The talmudic passage does not explain but, about 1000 years later, the Shulhan Arukh does: “One may appoint only a bearded sheliah zibbur because of the dignity of the congregation. However, if there is no one available to lead the group in prayer except for a thirteen year old boy,(23) it is better that he lead the group than that it lose the opportunity to hear kedushah and kaddish” (OH 53:6,7). These rules make it eminently clear that a congregation composed of men of all ages may not appoint a thirteen year old boy, even though he has reached the age of obligation, to represent it, because the dignity of the congregation will be compromised by a person speaking for it who is of lower social standing than its other members, and one measure of this is youthfulness as indicated by beardlessness. Even more evidence of the distinction between technical eligibility and social acceptability can be found in Mishnah Megillah 4:6, which says that a person dressed in rags may lead Shema (from his place, where he will not be seen)(26) but may not read from the Torah or lead the fixed prayers or the priestly blessing. Since men are obligated to pray, the likely explanation for limiting the leadership role of a man dressed in rags is the social unacceptability of a partially unclothed body. That is, in addition to being obligated to pray, a sheliah zibbur has to conform to the communal dress code. (27) When and if such an eligible person no longer is considered socially unacceptable, e.g., when he wears proper attire, he becomes qualified to lead the congregation. To return to the issue of women and prayer: although an obligation to pray is a necessary condition for women to serve as prayer leader, it is not sufficient. In addition, the designated individual has to be someone who commands the respect of the congregation, or, stated differently, is socially acceptable to it. A boy of thirteen who lacks a mature and dignified appearance, i.e., who is beardless, and a woman, by virtue of her gender, have been considered in the past to compromise the dignity of the congregation and, for that reason, despite the fact that both are obligated to pray, they are prohibited from serving as prayer leaders. Were someone to write a responsum today permitting women to serve as sheliah zibbur, it seems to me that two building blocks of the argument would be as follows: 1) Because women were always obligated to pray, and their obligations have even increased over time, prayer for women need not and cannot be regarded as a self-imposed obligation; 2) however, obligation alone is not sufficient. For a woman to lead the congregation, the community must view her social standing as equal to a man’s. If it does, she meets both halakhic requirements. If a community recognizes that in all other spheres of life women occupy the same social standing as men, it becomes odd and even morally reprehensible to retain the notion of women’s inferiority, with its attendant disabilities, in the religious arena alone — particularly where their social standing and acceptability is the explicitly governing factor in the formulation and application of the halakhah. There is no question that halakhic attitudes can, and do, change in response to evolving social attitudes. The challenge that remains is for the community to trip the switch and set the halakhic process in motion. 3. The reason why these five items appear together at this juncture seems to be that three of these five are the main subjects of this tractate — Shema, tefillah, and Grace after meals, and the other two, tefillin and mezuzah, are close associates of Shema because they derive from the same paragraphs of Torah. 4. I am interpreting the expression “obligated to X but exempt from Y” in the same way for both the mourners and the women. Since tefillah and Shema, throughout the Mishnah, refer to the verses and petitions that form the essence of daily prayer, I find no reason to suggest that tefillah, as employed here, refers to something else, such as one simple request. Although there are commentators who later reduce women’s obligation to just that, the burden of proof is upon them to show that the Mishnah here did not intend to have women recite daily the same tefillah as men. See Hanokh Albeck, Seder Zeraim (Bialik-Dvir: 1957), pp. 329-330, who suggests that women were in the habit of saying the tefillah, and that is why the Mishnah obligates them to continue to do so. 6. Hagahot Habah, Berakhot 20b, ad locum, takes this position. 7. See Diqduqei Soferim, note vav. 9. Rashi and Tosafot (s.v. b’tefillah peshita) differ on the question of whether a rabbinically ordained mizvah may be classified as time-bound positive or non-time-bound positive, from which would flow women’s obligation or exemption. Rashi holds that rabbinic mizvot may not be classified in that way; Tosafot holds that they may. 10. Mishneh Torah, Hilkhot Tefillah 1:1-4. 12. Rambam, in his commentary on Berakhot 3:3, says: “All of this (the Mishnah’s rules about women and mizvot) is clear. In the appropriate place in Kiddushin it speaks of the mizvot which women are not obligated to perform and the rationale (for the exemption).” The Kesef Mishneh commentary (written by Karo) on Rambam’s Hilkhot Tefillah says, ad locum, that the source of Rambam’s ruling “that women are obligated to pray” is M. Berakhot 3:3. This means, according to this commentator, that Rambam is doing no more than fixing halakhah according to the Mishnah. No suggestion is made that Rambam sees women’s obligation to pray as substantively different from men’s. See n.4. 13. The same commentator also notes that women walk out during the reading of the Torah (Magen Avraham, OH 282:3). Others have noted that women have stopped reciting birkhat hagomel after giving birth. See Eliyaqim Ellenson, Ha’ishah V’hamizvot (Jerusalem: World Zionist Organization, 1977), vol. 1, p. 137. 14. However, this view of limited prayer for women has found adherents in today’s Orthodox community where many women, who are observant in every other way, do not pray. R. Obadiah Yossef, the former Sefardic chief rabbi of Israel, writes (Yalqut Yossef, part 1 !Jerusalem, 1985^, p. 185) that women are not required to pray three times daily but are required to pray once, and the preferred prayer for women is shaharit. He also recommends that they say birkhot hashahar, birkhot hatorah, and the first verse of Shema. 15. Arukh HaShulhan, O.H. 106:5-7. This interpretation of Rambam and Rif follows the Magen Avraham approach. 16. Hafez Hayyim writes (70: 1, note 2) that women are also obligated to recite birkhot hashahar, pesuqei d’zimrah, and one of the blessings after Shema. As for the prayers that they are not obligated to recite, says the Hafez Hayyim, they may certainly accept upon themselves even the recitation of those prayers. And, if they do so, they recite them with the appropriate blessings. 17. Joel Roth and Israel Francus, whose papers appear in The Ordination of Women as Rabbis (JTSA: New York, 1988), make no mention of women’s obligation to pray. Neither does Hershel Schachter, in his lengthy attack on women praying together, as a group and not as a minyan (Bet Yizhaq 17, 5745 !1985^, pp. 18-34). 18. The only other statement with equivalent truth value to this one is its contrapositive: if one may discharge the obligations of others, it follows that the discharger himself is obligated to perform that mizvah. 19. The Talmud allows a zimmun composed exclusively of women, but not a mixed one of women and slaves or women and minors (Berakhot 45b). Elsewhere, the Talmud asks if a woman’s obligation to recite Grace is of Torah origin or rabbinic origin; if of Torah origin, she may recite Grace for men; if of rabbinic origin, she may not (Berakhot 20b). Since the matter is apparently left unresolved, the early commentators and codists render a decision. R. Isaac Alfasi (11 c.) writes that Grace is not a time-bound positive mizvah and, therefore, women are obligated. Whether or not he implies, thereby, that a woman may lead a man in Grace, is the subject of intense dispute among his many interpreters. Maimonides (12 c.), in Hilkhot Berakhot 5:1, writes that since one cannot say with certainty that a woman’s obligation is derived from Torah, she may not recite Grace for a man. Rabbenu Asher (13 c.) writes that since the Gemara’s question was not answered, women may not lead Grace for men. R. Joseph Karo (16 c.), in the Shulhan Arukh (Orah Hayyim 186:1), comments that it is not clear whether a woman’s obligation to recite Grace is Torah-derived, which means that she may recite it for men, or whether it is of rabbinic origin, which means that she may not. It is remarkable that he does not express an opinion on the matter. The Hafez Hayyim (20 c., ad locum) in his commentary on the Shulhan Arukh, sides with those who say that women may not recite Grace for men. 20. The Tosefta (Berakhot 5:17) brings a similar source but does not explain why a wife, although technically eligible to recite Grace for a husband, may not do so. 22. This source first appears in Tosefta Hagigah 1:3: “A boy who has produced two pubic hairs is required to perform all the mizvot of the Torah … when his beard grows in he may serve as sheliah zibbur….” Saul Lieberman (Tosefta Kifshuta, JTSA, 1962, pp. 1273-1275) writes that “beard” refers to facial and not pubic hair, as some have thought. For our purposes, though, whatever “growing a beard” may mean, it clearly refers to a later stage of development than the onset of puberty. 23. According to the Talmud, the age of obligation is determined by puberty. In the course of time this standard was expanded to thirteen years old and one day in addition to puberty and then limited to thirteen years old and one day alone. For instance, the author of Halakhot Gedolot (9 c.) states that a boy needs to reach puberty and, also, the age of thirteen years old and one day in order to lead (pores al) Shema. R. Eliezer b. Joel Halevi (d. 1220) writes in Sefer Haravyah, that thirteen years old and one day is the age of obligation for boys (part 2, #569, p. 294). 24. The Talmud’s concern elsewhere about the sexual distraction of hearing a woman’s voice while reciting Shema (kol b’ishah ervah, B. Ber. 24a) is not part of its rationale here, nor is the concept of “dignity of the congregation” a matter of sexual distraction or prizut. See Maharam of Rothenburg, Responsa, no. 47; Ben Zion Uziel Mishpetei Uziel, Hoshen Mishpat, no. 6. The Tosefta’s version of the rule concerning women reading from the Torah (Megillah 3:11) is slightly different and rather hard to understand: “All may be counted in the seven aliyot [of Shabbat], even a woman, even a minor. One may not bring a woman to read in public.” According to Lieberman, (Tosefta Kifshuta, p. 1177), who bases himself on the Rishonim (early Talmudic commentators), this means that a woman may read only if one man has already read: but if there is no man at all who can read from the Torah, one may not bring a woman to read because, in these circumstances, she cannot discharge the obligations of others. Lieberman does not comment on the meaning of “the dignity of the congregation” as used in Megillah 23a. It seems to me that this phrase is the Talmud’s addition to the Tosefta’s rule to explain the relationship between its two parts: the reason why a woman may not be brought to read in public, even though she is counted in the seven aliyot, is that she compromises the dignity of the congregation. See next note. 25. Today, however, with Jewish women socially equal, and encouraged from their earliest years in Jewish learning, any discomfort that a male might feel in their presence is, to say the least, misplaced. See n. 29. Cf. David Feldman, “Woman’s Role and Jewish Law,” Conservative Judaism (Summer, 1972):30, 37, n. 45, and David Novak, Tomeikh Ke-Halakhah (N.Y.: Union of Traditional Conservative Judaism, 1986), p. 24. 26. Albeck, Mishnah Megillah, p. 366. 27. See Tosefta Megillah 3:27,30. 28. OH 53:7; Mishnah Berurah, note 23. 29. See, e.g., Responsa of Radbaz, nos. 974, 975, 1076. It is possible to cite numerous other examples of Jewish practices that are affected by changes in social outlook. Probably the best known one is the decision made by the Hafez Hayyim (Liqutei Halakhot, Sotah 20a) to educate women in classical Jewish texts. His rationale is a social one: since women now acquire a sophisticated secular education, there is a risk that their motivation to remain observant will lapse unless they are properly educated in Jewish texts as well. See, also, similar comments by a variety of contemporary decisors in Ha’ishah V’hamizvot, Vol. 1, pp. 159-162. A different kind of socially-impelled change is found in Daniel Sperber’s chapter “On Drinking Wine at a Circumcision and the Social Standing of Women” in Minhagei Yisrael, Vol. 1 (Jerusalem: Mossad Harav Kook, 1990), pp. 60-66. The prior standard practice to give the cup of wine at a circumcision to the mother, upon whose lap the child was circumcised, changed when circumcisions began to be performed in the synagogue and people felt it socially inappropriate for a woman to sit among men. She was no longer permitted to serve as sandeq, nor was the cup of wine given to her. See, also, Sperber’s lengthy note (p. 66, n. 18) on women losing the right to serve as circumcisors, which, he feels, was motivated, in part, by social considerations. See, also, J. David Bleich’s comments, in Contemporary Halakhic Problems, Vol. 2 (New York: Ktav, 1983), pp. 368-375 on the changing rabbinic perception of deaf-mutes, resulting from their demonstrated educability, and the changes in halakhic attitude toward them that could result. Should one argue that this case does not call for a change in halakhah but, simply, the recognition that such a person is no longer to be placed in the rabbinic category of one who is mentally incompetent, the same kind of argument could be made with regard to women. Once one provides an explanation — scientific, medical, social, or any other — of why the halakhah, in the past, categorized people the way it did, it becomes possible to argue for recategorization, i.e., for a change in a halakhic ruling today based on traditional, unchanged halakhic principles. Indeed, Bleich cites a number of rabbis who now treat deaf-mutes differently from a halakhic standpoint because of changing perceptions of their abilities. JUDITH HAUPTMAN is Associate Professor of Talmud at the Jewish Theological Seminary in New York.